Rupert Sheldrake brings science and scientific thinking out of the cloistered halls of the academic world into the open air and sunlight of day-to-day world. One of the worlds leading biologists, Sheldrake has revolutionized scientific thinking with his vision of a living, developing universe with its own inherent memory. He urges us to move beyond the accepted model with its mechanistic view of nature, explaining is clear and simple language why we can no longer regard the world as inanimate and purposeless. Using recent developments in science as a backdrop, Sheldrake shows how we have been brought to the threshold of a new synthesis in which traditional wisdom, intuitive experience and scientific insight can be mutually enriching. The Physics of Angels by Matthew Fox  contribution by Sheldrake. A New Science of Life, The Presence of the Past: Morphic Resonance & the Habits of Nature, and Seven Experiments That Could Change the World: A Do-It-Yourself Guide to Revolutionary Science. In the opening lines of Oriah Mountain Dreamers poem, The Invitation you are cordially invited to live your own life. Many yearn for intimacy and authenticity in our lives, but lack either the discipline or courage to take the first steps. Others who have heard or read this beautiful, uplifting poem, which offers the challenge to develop meaningful lives, have been inspired to change, but found that they lacked the tools to begin. In her book, The Invitation, Oriah Mountain Dreamer now provides a solution to this need. Visionary author Oriah Mountain Dreamer expands upon the wisdom and challenge extended in her bestseller, The Invitation, and leader the reader into the exploration and eventual discovery of the essence of their true spiritual nature. In The Dance, we are encouraged to meet and accept all the varied aspects of self, complete with talents, gifts, wisdom and beauty, or lack thereof, and lovingly bring them into union as expression of our authentic self. Dr. Phil McGraw has become a household hero since his first appearance on the Oprah Winfrey show. His no nonsense approach to dealing with life challenges begins with his Get Real directive. Life Strategies presents 10 Laws of Life in simple easy to understand language. Life Strategies Workbook enables the reader to take these Laws, one by one and apply them to personal challenges to help bring about the changes s/he desires. One of the best self-help books available today. Listen: This is important for you to know. You are empowered! A simple, yet profound communication - the Divine is Within. You Are All God! The eighth book in the Kryon material channeled by Lee Carroll is filled with the message of joy, love, and personal empowerment. Readers familiar with the new ages prophecies concerning the new millennium are asked the question: Have You Noticed? Have you noticed that the chaos, cataclysm and Armageddon havent happened. Did you know that Humanity was responsible for this? 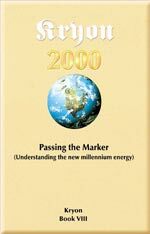 Passing The Marker: Understanding The New Millennium Energy is a celebration of Human Empowerment and the expression of the Divine Nature within us all. Book 8 in the Kryon series contains a comprehensive index to material in all eight books in the series.